Susan Releis, reporter for the Wisconsin Dell Tribune interviewed Dave and his family on the Log Flume Ride in the entertainment capital of central Wisconsin. I asked Huey, What’s We Are the World? Dave Grohl’s The Best, The Best, The Best Chicago Style Hot Dog stand will be opening a branch in Ethiopia in the spring of 2016. “No Way! I said… This is freaky scary! When I was a kid I called Dionne Warwick’s Psychic Friends Hotline. She told me that someday I would be the voice of all Rock and Roll! Sure that happened, but then she said “And you will recut We Are the World…When you are ready call me back. 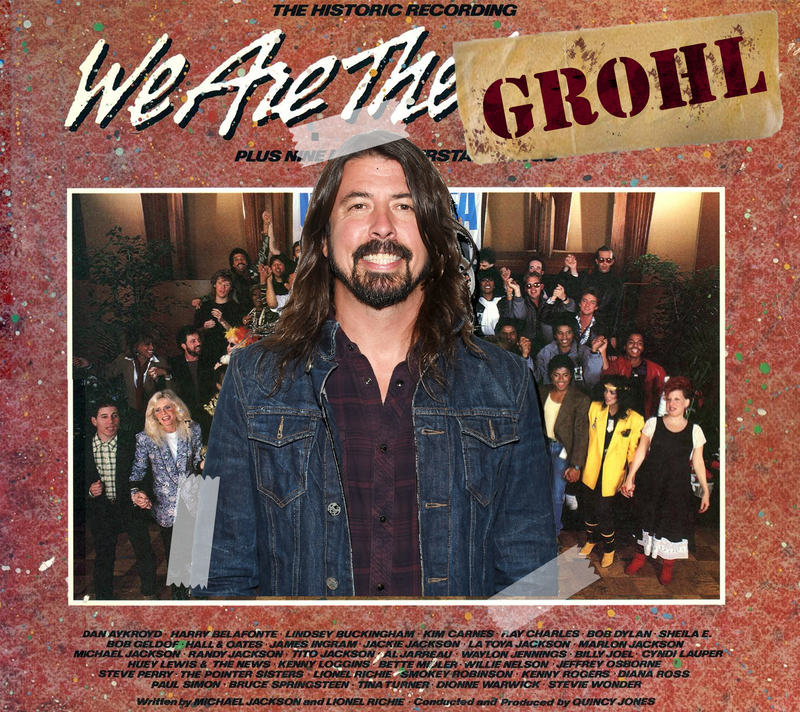 Here is the worldwide premier of We Are The Grohl. Share it with someone you love. Or would like to love. Or who was an influence on Nirvana. Don’t say I never pretended to do something for you. Tags: acting, actor, Chicago Style, Dave Grohl, foo Fighters, Guns N Roses, huey lewis, Kurt Cobain, music, no more dave grohl, re recorded, usa for africa, we are the grohl, we are the world. Bookmark the permalink. Previous post ← ROTH is OUT! Alex Van Halen is Leaving the Band!